One of the biggest hurdles I've ever faced was producing this massive missive. It went on for literally years. First I worked on obtaining the master weaver certificate from the Guild of Canadian Weavers. I thought that goal was the biggest hurdle I'd ever attempt. 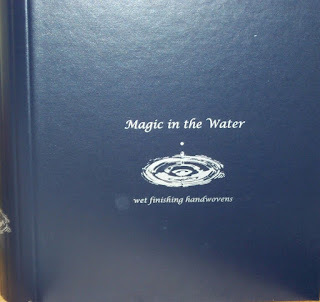 It was just the prelude to first writing, then illustrating - with actual samples - the principles of wet finishing. And then marketing a fairly pricey book. I've never shied away from tackling Big Projects. I have chaired - or co-chaired - something like four conferences. Or maybe five. I forget. But usually I'm smart enough to not attempt so many Big Projects all at once. But right now? Not only am I in the midst of trying to wrap up another book (lord, help me) I'm also wrangling another major conference (major in terms of textile arts) into shape. So, why, I ask myself, do I keep doing this to myself? I honestly don't know. Except that they both seem somehow...important. Yesterday someone said on Twitter that an author never 'finishes' writing a book - they just *stop* writing the book. And so I am in that place. I am 'done' writing the book. At least I'm done writing the text of the major part of the manuscript. What is left are the projects that will help illustrate the weave structures I want to use as additional insight into understanding weave structure theory. Because sometimes people need to just follow the directions so that they can see how it all goes together - yarn selection, density, colour choices, weave structure. 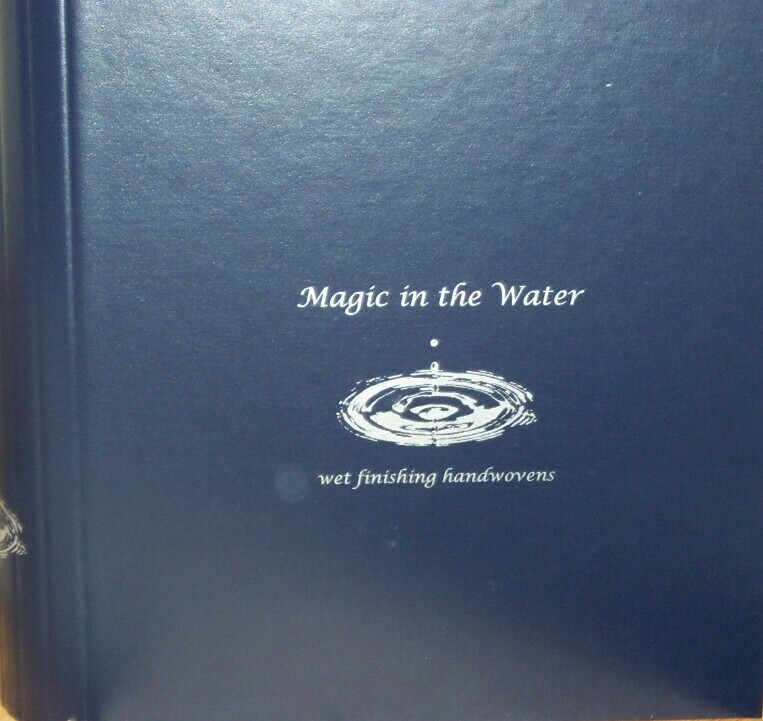 And of course, wet finishing. There will be no actual samples in this publication. I have been using blurb.ca as a test to see if that is a good route to go and after six months of having Magic available for sale there, I'm pleased with it. 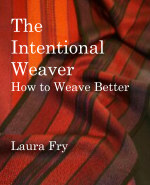 So we are carrying on with the intention of posting The Intentional Weaver for sale there as well. One of the reasons for publishing this way is that people will have a choice - they can download a digital version (pdf) or they will be able to order a hard copy. So far customers who have purchased the 'magazine' version of Magic have said they were pleased with the quality of that hard copy, and I have been pleased with their professional standards. They pay what I am owed within five days of the end of the month. Today I am dressing the loom with the 'last' of the table runner warps, with the intention of finishing it tomorrow. And then I will be going through the manuscript again, checking to see which weave structures I already have projects for (in part because some friends have jumped in to help by designing and weaving projects - love you all!) and deciding which ones still need to have a project. I am also chasing down details for some of the conference instructors so that their info can be posted to the conference website. We have had some technical issues with the website - and Internet Explorer will no longer display the website so people will have to use another browser. Nothing we can do about that since IE is no longer supported. I am hoping to hear soon when my editor can come to take the photos for the book - and once those are done my part in 'birthing' this book will be pretty much over. Then it will be in her hands to mash it all together. While I have a lot of hubris, I don't have enough to think I can do this last crucial part on my own. At this point I have zero perspective left in order to assess if the manuscript is acceptable. It's time to have fresh eyes - and professional editor eyes, at that - to polish this project and take it to the finish line. And I will concentrate on the conference and the craft fair season.